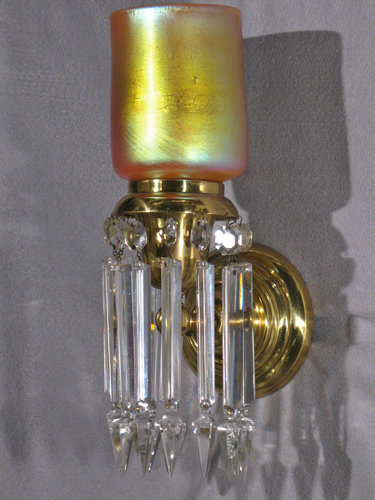 This is a wonderful pair of brass and crystal sconces with contemporary art glass shades. The antique spear prisms make a wonderful statement because they are so long. They are hand cut crystal. These sconces were recently removed from a large scale residence on Commonwealth Ave. in the Back Bay of Boston.